So, your music collection is a mess. It’s grown from a toddling collection of your best songs to a mammoth network of playlists filled with songs that you don’t even remember. If this is you, I feel your pain. I really do. Organizing your iTunes media folder can be quite a hassle. It takes much time and is especially vexing if you have to deal with deleting duplicates and songs that you don’t really like. And we’ve not even got into dealing with your installer cache, cookies, logs, junk files, old backups and other useless files. Knowing what you’re going through, in this article, we show you how to quickly clean up your iTunes media folder with the least amount of stress. Your iTunes library is organized into two library files and a media folder. Here’s how you can locate the media folder. Step 2: On Mac: From the menu bar at the top of your computer screen, click on iTunes > Preferences. On Windows: From the menu bar at the top of your iTunes window, click on Edit > Preferences. 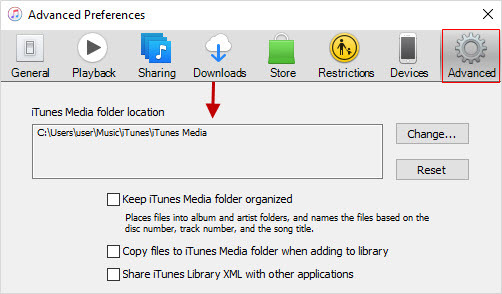 Step 4: There will be a box under “iTunes Media folder location”. That’s where your iTunes media folder is. Now that you’ve found your iTunes media folder, here’s how you can clean it quickly and easily. You don’t have to use any application or internet tool to clean up your iTunes media folder. If you want to, you can do this clean up manually. Instead of manually searching media folder on your PC and deciding which files to delete, you'd better consider iMyFone TunesFix, an advanced iTunes cleaner. 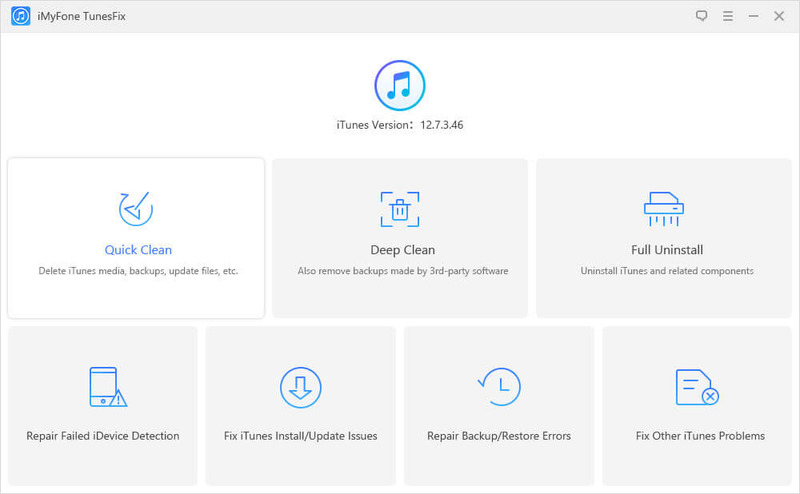 It is the one-stop shop for cleaning iTunes media, used software updates, old backups and other useless files to keep iTunes clean and run at optimum. Automatically remove media files from iTunes library and iTunes media folder with ease. 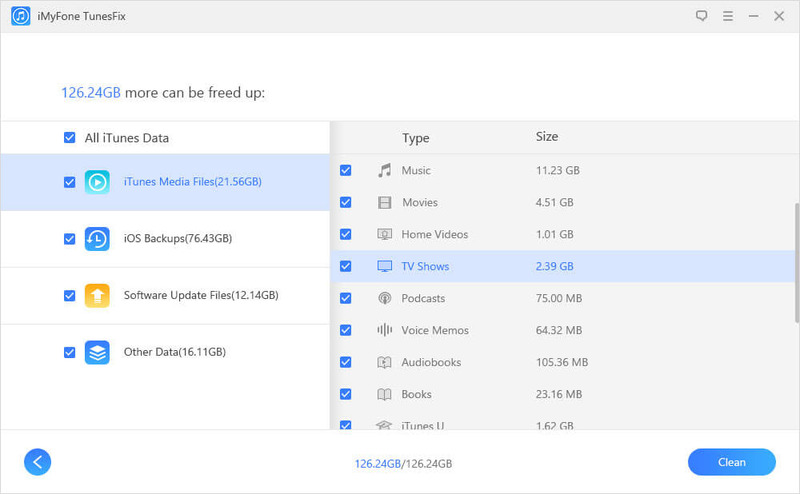 Release huge iTunes storage space by simply deleting used iTunes/iOS software updates and useless backups (including backups made by both iTunes and 3rd-party programs). Tune up iTunes performance by 1 click to clear all useless files, including cookies, cache, logs, junk files, etc. Let you handle every issue you have with iTunes with minimal stress. Step 1: Open iMyFone TunesFix on your PC. It will do auto-detection of your iTune. If your iTunes is fragmentary, it gives you option to fix it. If your iTunes works perfect, you will see the home interface. Step 2: There will be 7 options. Select “Quick Clean” mode and your iTunes will get scanned. Note: If you want to clean useless backups which are hidden and occuping much space, click on “Deep Clean”. Step 3: TunesFix will show you the scanning result of iTunes media files, iOS backups, software update files and other data. Only tick the files you want to clean and click “Clean” button to start cleaning. It cleans fast and only takes a few minutes or even a few seconds. You'll know how much space has been saved after cleaning. On iTunes, go to “File > Library > Organize Library” and check “Consolidate files” and hit “OK” to save the settings. After that, get into the iTunes media folder and you may see different folders there, such as Books, Music, Movies, Podcasts, Homw Videos, Audiobooks, Tones, Podcasts, Downloads, etc. For example, the Books folder stores everything in your iTunes Books library. So do other folders. 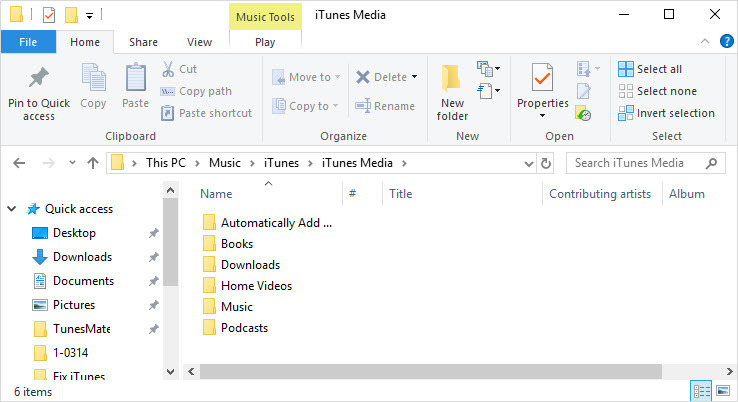 Get into the specific iTunes media folder and delete the unwanted or duplicate files. Or you can directly clean up iTunes media folder by deleting unwanted files from iTunes library. 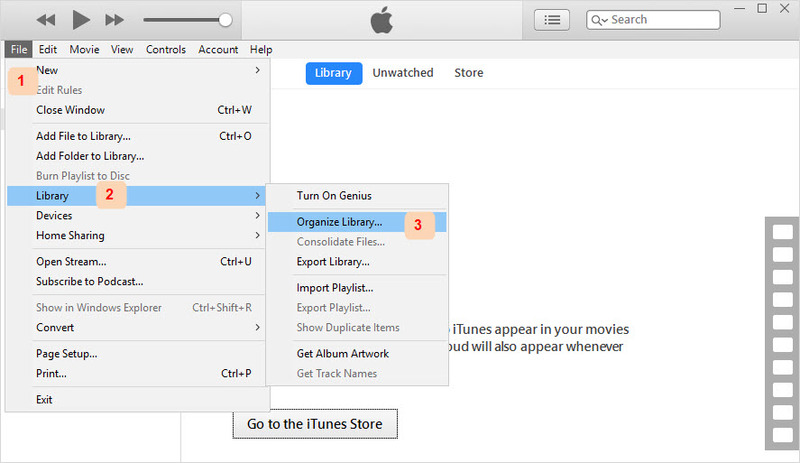 Step 2: Go to the specific library where stores the unwanted files, like music library. Step 3: Select the unwanted songs there and right click on it. Choose “Delete from library”. Step 4: Click on “Delete Song” and tap on “Move to Recycle Bin”. It will delete the song from iTunes library and iTunes media folder. 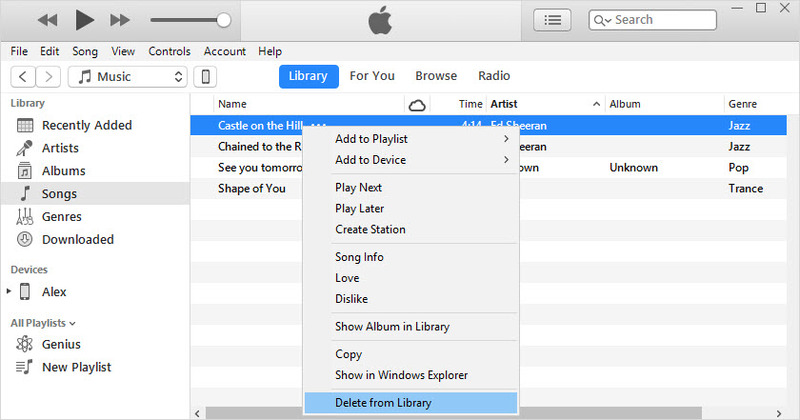 Note: If you choose “Keep File”, it will delete the music from library and keep it in iTunes media folder. Don’t waste your time manually deleting those files. Get the one-stop show to your iTunes health. Get iMyFone iMyFone TunesFix.